#5. 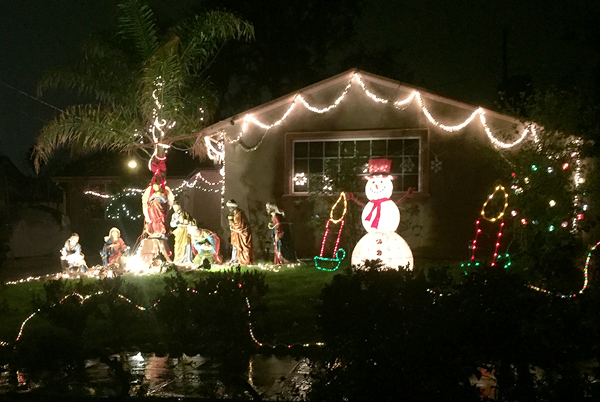 Nativity – 1265 Valley View Ave: Not many houses still do nativity scenes so we appreciate how this house was able to display it in a respectful, enjoyable way. #4. 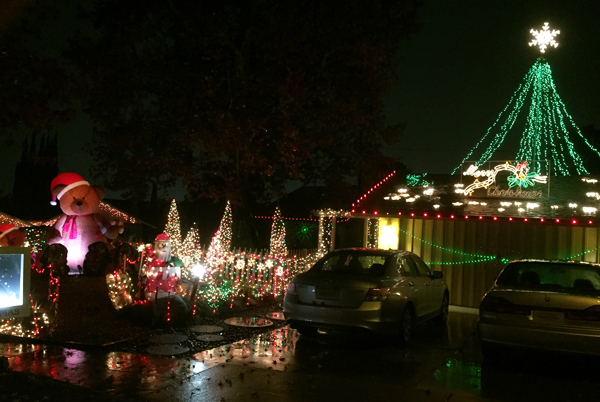 Christmas Band – 1086 Rexford Ave: This house has to make the list just for getting in the spirit of Christmas and having a live band perform in their front yard. 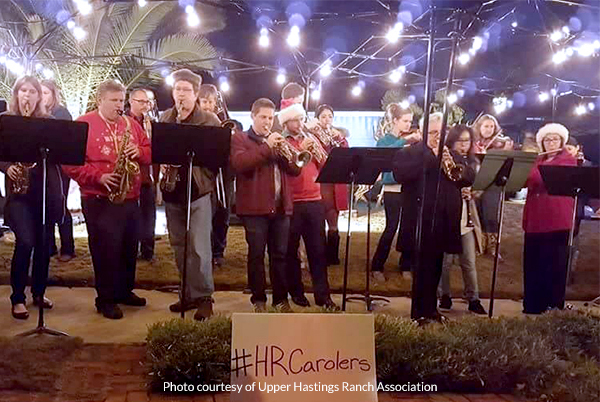 #HRCarolers for the dates and times they will be there. #3. 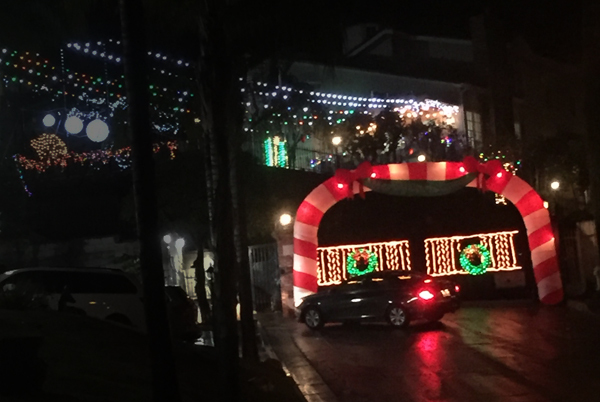 Giant Christmas Tree – 1126 Tropical Ave: You might be able to see this one as you’re driving towards the area as they have a huge Christmas tree light display with a star on top of their roof. There’s also a giant bear amongst a myriad of other decorations to enjoy. #2. 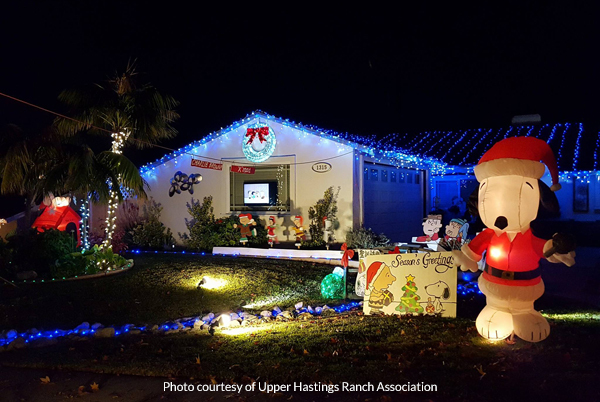 Snoopy House – 1315 Valley View Ave: We love homes with themes and this one barely missed our top spot with all of the effort put into it. But if you love Snoopy, Charlie Brown and the Peanuts gang, this is definitely a must see. A lot of the displays are homemade and worth getting out of your warm car to see all the details. They even added a tv in the window this year that loops the “Charlie Brown Christmas” movie which is a nice touch. #1. Video Game Display – 1207 Tropical Ave: Maybe we’re just suckers for anything to do with vintage video games but this one stole the show. 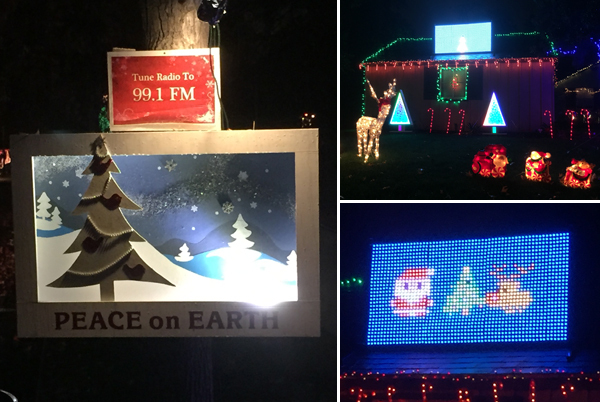 Stay in your car and tune in to 99.1 FM to hear and see the show as the music is synced to an awesome light display. There is a monitor on the roof that you can watch for a couple minutes as they play homage to Pac-Man, Mario and other 8-bit heroes of our past. This display is on the same street as our #3 display so if you only want to cruise down one street because of the crowds, this is the one to see. 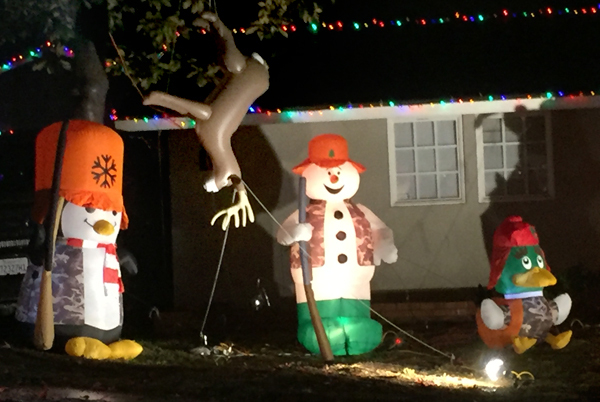 Snowman and the Reindeer – 1218 Valley View Ave: Frosty and Rudolph made for a good laugh. 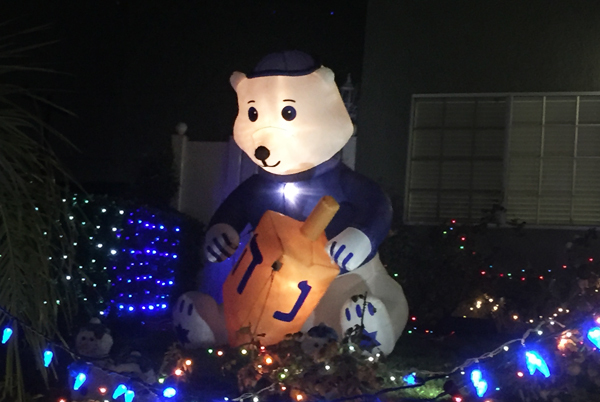 Hanukkah – 1488 Rexford Ave: You don’t see a lot of Hanukkah displays very often so this is a nice change of pace. Carriage House – 1723 Winding Way: This house is huge and looks over UHR. It didn’t make the list because you can’t really get that close to it because of the gate to the entrance. Pull over if you see something you like. Drive with your lights ON so we can see you. Please don’t touch the displays. We hope this is helpful to you. We did drive through all of UHR but still may have missed some so let us know if you spotted any that didn’t make our list!